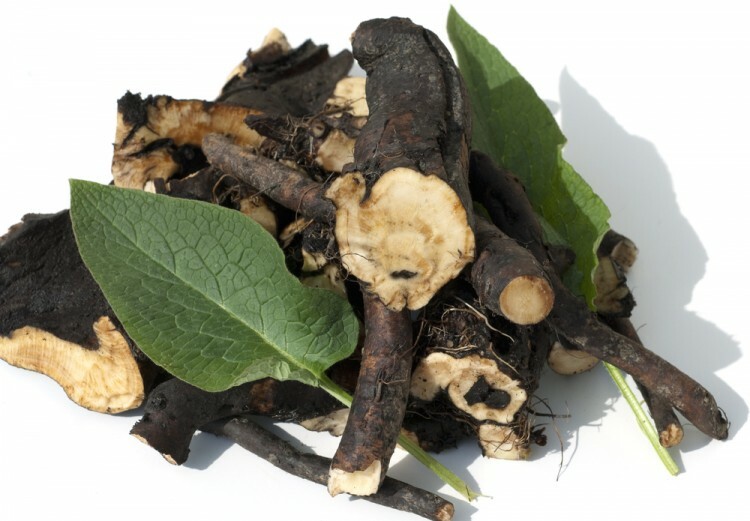 The roots and leaves of the comfrey plant contain chemical substances called allantoin and rosmarinic acid. Allantoin boosts the growth of new skin cells, while rosmarinic acid is known to help relieve pain and inflammation. It is common to add it to lotions and salves due to its properties.